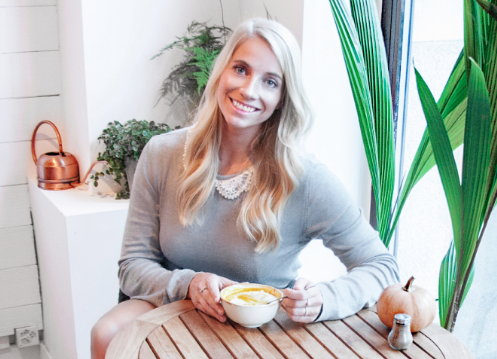 I started blogging because I wanted to share my love of healthy eating with friends and family. I had been asked on many occasions for recipes and I always said that I would combine them onto a platform, it just took a bit of courage to be able to put it out there for the world to see. Good Food to me means food with flavour and textures but also nutritionally dense. It's important to understand how to look after your body. But this doesn't mean that dishes can't be packed full of flavours and taste absolutely delicious at the same time. What’s your favourite go-to dish on a Monday evening and why? My favourite go-to easy dish would probably be chicken marinated in mexican spices with a side of wild rice. It is easy, tasty and doesn't take much time. How does travelling provide you with cooking inspiration? Travelling allows me to discover new trends, products, styles of cooking. I think that if you don't try new things or explore different foods then you can never grow as an amateur cook. What would you bring to a potluck party? A variety of dips (hummus, guacamole, tzaziki etc) along with homemade pita chips. They're perfect for parties and always disappear! To find out more about Sara, check out the her blog or follow her in the MyFoodways app. Don't have MyFoodways yet? Download it here.